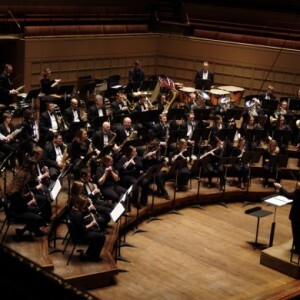 It’s the largest conference for wind and band music in the world, and it arrives at Chicago’s McCormack Place on December 19. 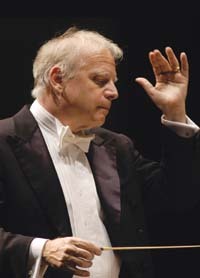 Overlooking the shore of Lake Michigan, this year’s Conference will feature performances by hundreds of the best ensembles in the world and will highlight clinics with Wynton Marsalis and Leonard Slatkin, who will lead an open conversation on McTee’s “Tempis Fugit” from Double Play followed by a performance with the Lone Star Wind Orchestra. This year marks the 66th annual conference. In 1974, Isaac Asimov (creator of the three laws of robotics and father of modern technology based science fiction) predicted in his short story That thou art mindful that before humanoid androids would be accepted into mainstream society, robotic birds and insects would be created to desensitize the population. While writing this piece, I frequently imagined Asimov dreaming of an aviary far in the future where robotic insects and birds were given life and flew around in constant electronic swarms. Amazingly, this work has begun. At the Air Force Research Lab at Wright-Patterson’s “Micro-Aviary” these robotic insects and birds—or micro-drones as the press has dubbed them—are being developed and put in the field as part of a whole host of projects including weather management and environmental monitoring. However, as as anyone who has read I, Robot or The Naked Sun will know, where there is potential for light in technological innovation, there is also potential for darkness. I often find myself thinking about the excitement that the researchers at the Micro-Aviary would feel if they were able to show their creations to Asimov and how amazed he would have be to see how quickly these artificial insects and birds have become a reality. The piece features tightly woven canonic lines that form a furious web [swarm?] of contrapuntal activity over very slow moving [inevitable?] metallic drones. Asimov’s Aviary was commissioned by The United States Air Force Band “The Chief’s Own” and is dedicated to the men and women at the Air Force Research Lab at Wright-Patterson and will be premiered at the 2012 Midwest Band and Orchestra Clinc.